Dr. Cerruti’s main interest is the connection between quantum and classical physics through semiclassical methods. He has also explored a similar connection in the long-range propagation of acoustical waves in the ocean. Other interests of Dr. Cerruti are physics education research and science literacy of non-science majors. Dr. Cerruti received his Ph.D. by researching quantum chaos theory using semiclassical methods with Prof. Steven Tomsovic. His dissertation focused on Coulomb blockade peak heights in quantum dots and parametric variations in quantum chaotic systems. After obtaining his Ph.D, Dr. Cerruti remained at Washington State University as a postdoctoral research associate and then an assistant research professor under Prof. Tomsovic studying fidelity in quantum chaotic systems. Next, he spent one year at Whitman College in Walla Walla as a visiting assistant professor teaching classes. 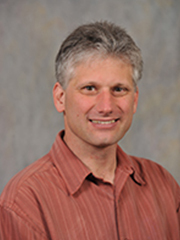 In 2006, he joined the Department of Physics at Washington State University as an instructor and academic advisor.